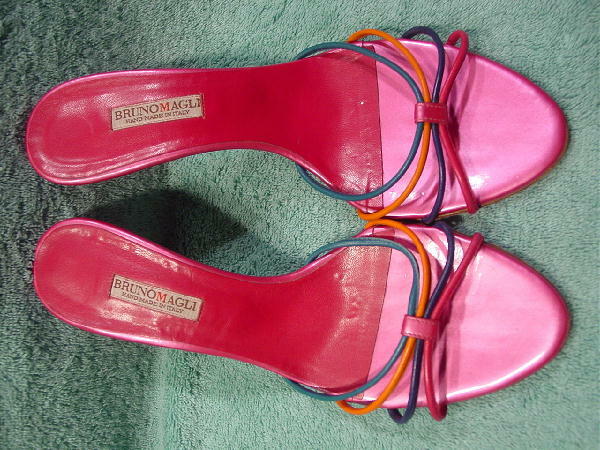 These high heel slides are by Bruno Magli and were handmade in Italy. 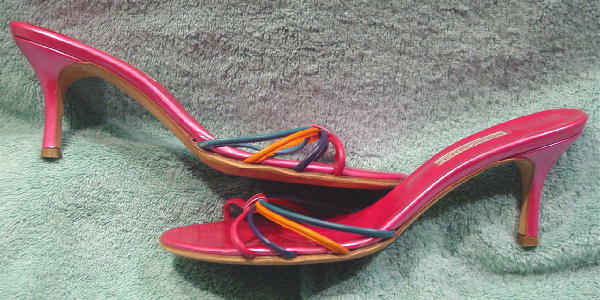 The leather insoles are in a dark pink-wine and the toe bed is in a pearlized magenta-hot pink. 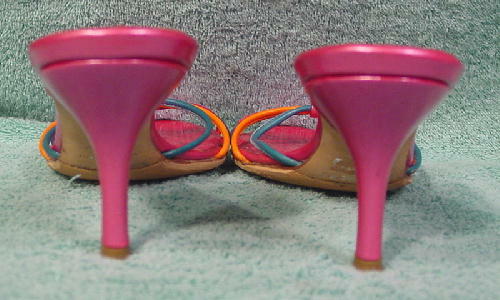 The sides and heels are also in the pearlized magenta-hot pink. The leather soles have been replaced with nonskid light tan vibram soles, and the heel tips have also been replaced. The straps (leather cords) are in magenta-hot pink, blue, orange, and teal.